Don't you wish there existed a Worship Glitter that you could use to create great and authentic kids worship? Something you could toss into the air and created the atmosphere that would allow kids to connect with God. That's why you do Kidmin. That's what you want the most, to connect your children to God in a meaningful way, in an eternal way. Worship for children doesn't look like worship from adults. Yes, it should look like kids. Don't try to make the children into little adults. They aren't. Somehow kids brains and body are connected. They need to move in order to learn. Or, put another way, they learn while they move, sing, speak, shout, etc. This can be called multi-sensory, or the mind/soul/body processes. Kids move, feel and think about things simultaneously, while adults can do things separately, or in sequence. Adults may think about something first, then possible develop feelings, and finally those thoughts and feelings can influence their activities. This process develops as people grow up. Don't expect your children to be adults now. 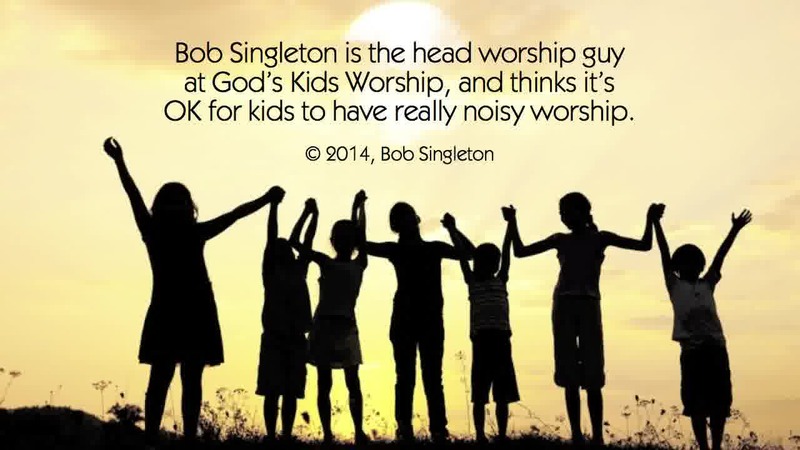 By applying those concepts to worship, we can improve the atmosphere in your children's church. 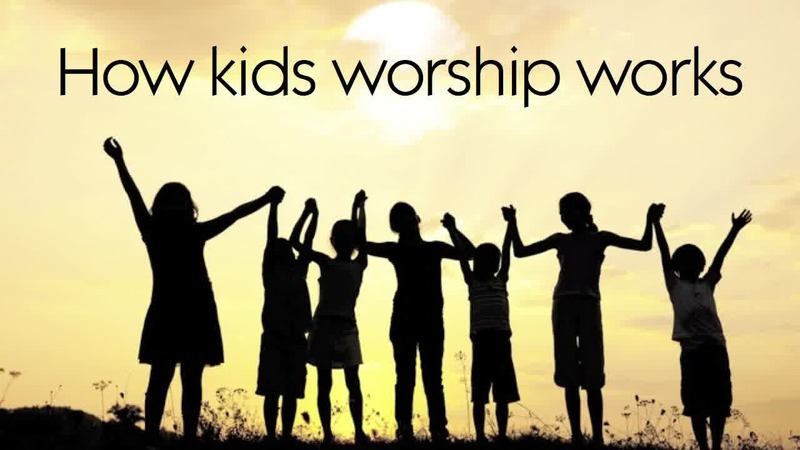 While looking for music ideas for our Kids Church, I came across this video, “What Does Kids Worship Look Like?” It opened my mind as to what good kids worship looks like. They are NOT miniature adults. Kiddos do not have the attention span, emotional/cognitive maturity, and likes of adults. Their worship time, if it is to be meaningful, needs to have different characteristics than an adult worship service. Below are bullet points from this video. It has energy, wiggles, and attention-deprived behavior. Expect kids worship to look like your kids look everywhere else. Do NOT think that kids will worship like adults. Kids worship God in the context of the size of their world. You’re not training them to sit still; you’re allowing them to connect with God. Don’t worry if the time you spend in kids worship doesn’t fit some artificial formula.